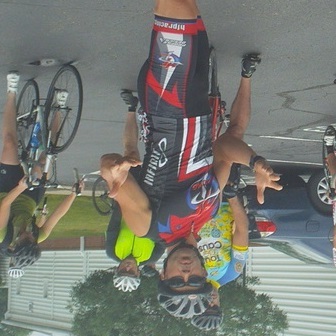 Thursday, July 25 will be the 15th ride of the New Albany COP Thursday ride season @ 6:00pm. HFP Racing is listening! Traditionally HFP Racing has offered an annual New Year’s Day (Jan 1) and Spring Super Sale (April 1) that gives our loyal customers a chance to save some money while planning their season. This summer we have gotten dozens of emails asking why we don’t offer specials during the summer season. So…here you go. To help you plan for the second half of the summer and fall racing season we are offering an inaugural Super Summer Sale for 25% off any races in August and September. The sale starts at 12:01am on July 28 and will go through Midnight on July 31. If you have not checked out Mark’s blog I encourage you to do so. He’s a very witty writer that brings a great narrative to almost every ride. This is your final communication from HFP Racing before we leave later today for Caesar Creek State Park. Please bring any last minute questions or changes to the park with you as our customer service staff will be on location. Not registered yet? [REGISTER NOW] Closes 7-11 at Midnight! In order to keep folks from loitering in the transition area too long and causing problems with the earlier events we changed our start times and ALL participants MUST be out of transition by 7:30am. With nearly 700 participants anticipated for Sunday’s race PLEASE ARRIVE EARLY. 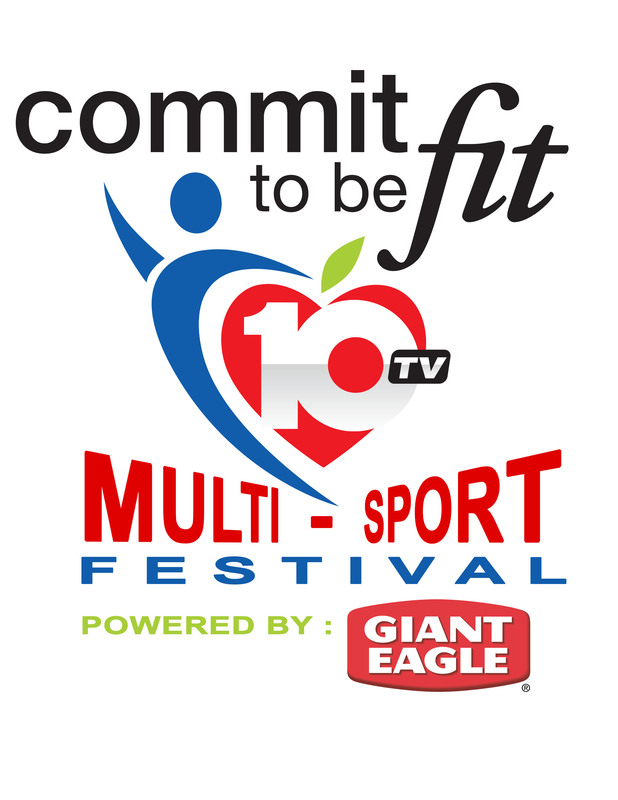 Once the first race starts at 7:30am – NO ONE will be permitted into the transition area to set up for their race. Please plan accordingly. 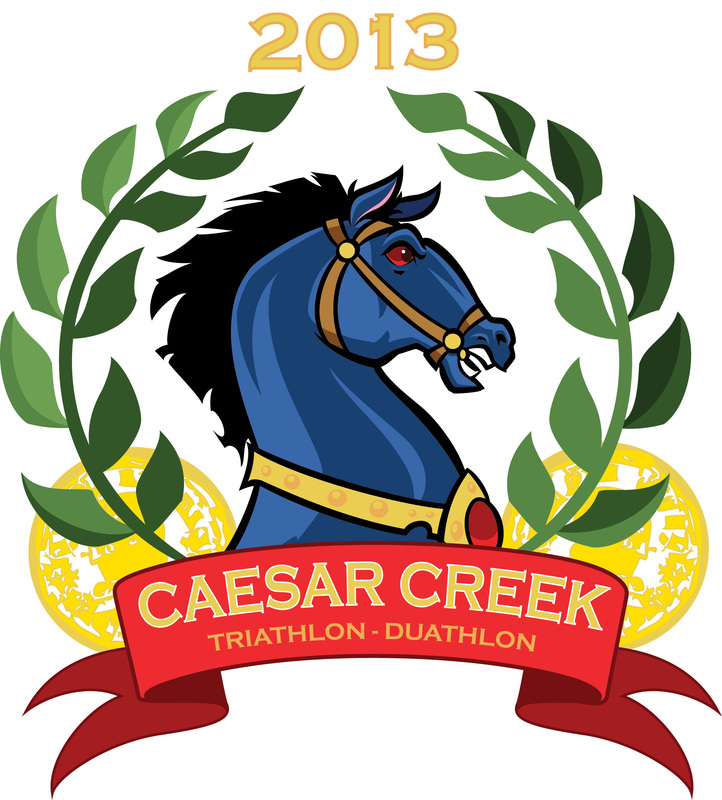 Make sure to go to http://www.hfpracing.com/events/fit/caesarcreek/course.htm and print off a course map if you need one. There will be NO course map copies at the race site. We will only have the maps on our race results monitors at the registration area. 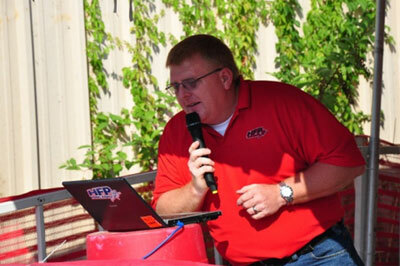 The voice of HFP Racing, Rich Fowler got some great passionate discussion going from his recent blog posted last week. It was such a great response Rich decided to do a follow-up to the article. So…I decided to put them both in our July News for everyone to enjoy. Enjoy! “Ok, so after Bloomberg recently published this article it has a bunch of people in the triathlon community outraged and yes, I am one of those people. Considering that triathlon saved my life. First to be fair to the writer of this article before I go completely nuts, please read it so you have some context. The article tries to make a few points. There is a heart risk for people over 40 that get into the sport and put too much strain on their body. They cite people that have a heart attack during the event and die. But if you look at CDC data for the leading causes of death Heart Disease is right up there for people over 40 anyway. More people die having a heart attack doing nothing on any given Sunday than all of those that have a heart attack during a marathon, triathlon, pickup basketball game or whatever. More people die because of the Big Mac they ate than a triathlon. 1 out of every 4 deaths in the US is related to heart disease. They cite that 60 out of 11 million marathon runners die of a heart attack. If anything, those numbers show the benefits of healthy lifestyles. I would take those odds. You have a better chance of dying in a car accident on the way to a triathlon (sorry, but it is true.) While it is tough when an athlete dies, many times they find out that the heart disease was going to get them whether they ran or not (genetics, damage was done too early, whatever.) The main problem with this article is lack of data and science, but welcome to journalism on the internet. If you look at tribes in other countries like the Tarahumara, running and extreme exercise have always been part of their culture and lifestyle, and they have 60+ year olds that can throw down with the best high school track teams. They also don’t eat the crap that we Americans do, and that is probably more to the point. The second premise of the article is that people are out doing a triathlon with little to no training. While yes, there are those that will do that (and I am HIGHLY against it), almost everyone trains for a triathlon. Yes, open water swimming can be hard, so you train for it. Yes, all three sports can put stress on the body, so you spend months working up to that. If I showed up for a Nascar race (driving, not watching) and had never trained to drive in a race, would anyone be surprised if I ate the wall and likely did not walk away? Would you be surprised if I was in a full body cast after taking a hit in an NHL game if I never played hockey in my life? Again if you are thinking, “hey, I have been sitting on the couch for 10 years and I am fat and overweight, you know what I am going to do … go compete in a triathlon”, stop right there and know that just like everything else, you have to train and work up to it. But there are thousands of 40+ year olds that have trained and conditioned their body. Now the doctor in the article makes a good point that sometimes people don’t listen to the signs their body is giving them and that is true of anything, but that does not mean that everyone should give up the sport because a few people just can’t stop. All athletes have that drive and it is hard to stop when the body says stop. Again, this goes for tennis players that play past the signs and do long term damage to their elbow. Are we calling for all country clubs to stop people over 40 from playing tennis? I mentioned it saved my life, so let me get to that. As of this writing, I am 38 years old. When I was 30 years old, I was 100 pounds overweight, in bad shape and had a minor heart attack. Not because of triathlon, but because of all the fast food, too much beer and sitting around doing nothing. I had to get active and start exercising. So I started riding my bike to get active, then I added running once I had dropped almost 50 pounds. Then to add some different low impact exercise, I added swimming. Friends convinced me that I needed to try a triathlon so we picked a small Sprint race and I trained for it. I trained for the 90 degree heat I would be running in. I trained for the open water swim. I trained for the mass start that I would be dealing with. I trained for the transition from the bike to the run and even did brick workouts (workouts where you do all three exercises so you know what you are in for.) I had huge benefits of being active, eating right and being around other people that had a healthy lifestyle. Had I not done these things, the next heart attack would have been the big one. Is there a risk? Sure, there is risk with everything, but I have a greater chance of having a heart attack doing nothing sitting on the coach playing the XBOX than I do in a race. Recently I was hit by a car on my bike and one could argue that I should not ride a bike because the risk is I could die out there. I hate to tell ya people, but our ticket is all going to get punched at some point and we all just try to avoid the things that are of serious risk (smoking, shark wrangler, hemlock taste tester, eating bacon for every meal) and go with the ones that have lower risk (running, swimming, biking, hiking). As I approach 40, do I plan to give it up? Nope, I will keep going. And if I have a heart attack out there at 40+ then so be it, because to be honest, I would have had it a long time ago without triathlon and every year I have now, is a year that I probably should not have had. Thanks Brian – and we’ll see you on race days for many years to come! 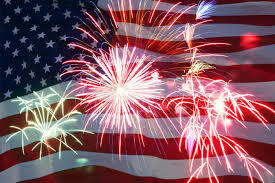 Thursday, July 4 (yes we’re riding today!) will be the 12th ride of the New Albany COP Thursday ride season @ 6:00pm. I remain at the helm for another week as your not-so-fearless ride leader. We finally will have Mark Wilson (co-ride leader) back into the peloton this week from his trip out west, which I’ve heard he’s got some huge fitness gains from the trip…we’ll find out soon enough! Since Mark was not here last week to write about our awesome ride you can read about his trip to the Grand Canyon on his blog. If you have not checked out Mark’s blog I encourage you to do so. He’s a very witty writer that brings a great narrative to almost every ride.